Jump behind the controls of a fighter plane, and save the Earth from an alien invasion in INDEPENDENCE DAY. Start out in a F/A 18 Hornet and blast through 13 levels of action. Keep your eyes peeled for the power-ups scattered throughout the levels that will unlock new planes, including an alien fighter craft. You can challenge your friends for air superiority with a two-player split-screen mode or link-up for dogfighting action. 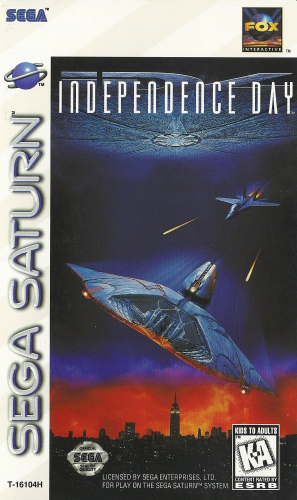 Only you can save the Earth in INDEPENDENCE DAY.